The Road Traffic Act 1988 states that all vehicles driven on public roads have to be covered by a car insurance policy that offers at least third party level of protection. This means that you must have a valid car insurance policy in place to drive your car or motorcycle on any road in the UK. The ‘continuous insurance enforcement’ rule says that vehicles must be insured at all times and the DVLA monitor this through their access to insurance databases. If your insurance policy lapses or is cancelled and you do not take out new appropriate cover, you will receive a warning letter; if you still fail to take action to insure your vehicle then you are committing an offence and could face some serious consequences. Don’t worry if you own a vehicle that you don’t actually drive; you don’t need to insure it as long as it is kept off the road and the DVLA has been notified. Declaring a vehicle off the road is known as a SORN – a Statutory off Road Notice. Although every vehicle must have an insurance policy covering it, it is technically the driver of the vehicle that is insured. This means that allowing somebody without their own car insurance to drive a vehicle that you own is also an office. Permitting somebody to drive without insurance is illegal, so if you allow a friend or relative to get behind the wheel of your car it’s important to make sure that they are insured to drive first. Ignorance is not a defence and arguing that you did not know they were uninsured will not prevent you from being prosecuted. How much is the fine for driving without insurance? Whether you were stopped by the Police and found to be driving your vehicle on the road without insurance, or you simply failed to renew a cancelled or lapsed policy in time after being warned by the DVLA – you could receive a fixed penalty notice of £300 for the offence. If you deny the offence and find yourself attending court, you could face an unlimited fine and even be banned from driving. And this is only the start of the financial impact though and the total cost of being caught without car insurance can be huge. How many penalty points do you receive for driving without insurance? On top of having to pay an expensive fixed penalty notice, you could also receive 6 penalty points on your license if you’re found guilty of driving without insurance. The financial impact of having penalty points on your license is in itself an expensive punishment, as the cost of your future insurance policies will soar; it’s common for insurance premiums to rise by hundreds of pounds once you notify your insurer. 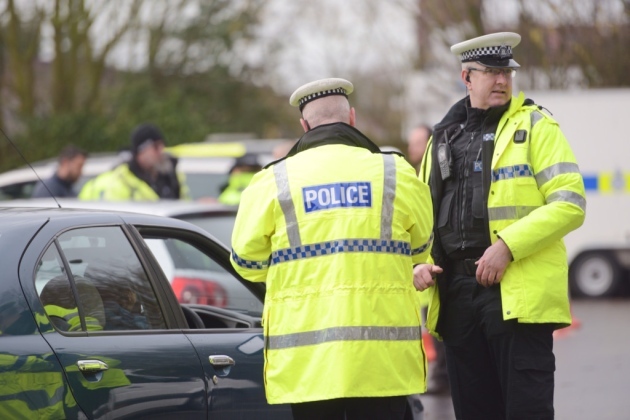 The penalties for uninsured driving don’t stop with penalty points and fines. The Police actually have the power to physically remove uninsured vehicles from the road and your car could be impounded and taken to one of several secure compounds. The costs can soon spiral, as you won’t be able to collect it until you have taken out an insurance policy that covers impounded cars. Finding a policy that will allow you to collect your vehicle from the compound can be tricky and costly but you don’t have time to shop around as for every day that your car is impounded you’ll have to pay an additional £20 – and that’s on top of a £150 release fee! To make matters worse you only have 14 days to collect your vehicle from the police compound as after 2 weeks it’s possible that your car could be crushed or even sold off at auction if it’s a valuable model. You could find yourself on the wrong side of the law, even if you didn’t know that your insurance policy was not valid.